To investigate the clinical efficacy of combining auricular and routine acupuncture for peripheral facial paralysis in acute stage. A total of 60 eligible cases were randomly allocated into a treatment group (n=30) and a control group (n=30). 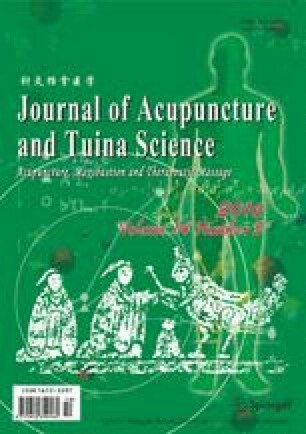 Cases in treatment group received auricular and routine acupuncture, whereas cases in the control group received routine acupuncture alone. Both groups were treated for 10 d.
The recovery rate was 73.3% in the treatment group and 53.3% in the control group, showing a statistical difference (P<0.05). Combining auricular and routine acupuncture is effective for peripheral facial paralysis in acute stage and has a better effect than routine acupuncture.